The women’s volleyball team saw different competition in the IIAC-NACC Crossover Challenge that took place this past weekend, Sept. 22 and 23. This series, played at Central in Pella, IA, allows teams from the two conferences to see some different competition and allow for a midseason break from regular conference play. The women first took on MSOE University, a notoriously tough competition, ultimately falling 3-2. Losing the first set, the Duhawks soared ahead in the second match, coming out on top 25-17 with an offense fueled by sophomore Kayla Kinney who posted four kills. The surge continued as the women pushed past 25 before falling 27-25 in the third set before taking the fourth 25-19. The battle in the fifth went to the Raiders 17-15. Next, the Duhawks took on Wisconsin Lutheran, topping them quickly in three sets, 25-11, 25-23, and 25-23. This was the first time they hadn’t gone into five in the last four matches. Saturday morning, the women scored a victory over the Benedictine Eagles 3-1. Sophomore Michelle Budden led the Duhawk offense with 21 kills, moving her attacking percentage to .476, a career high. Sophomore Kelly Boge also chipped in on the defensive side with seven blocks. Later that day, the women also took on Lakeland, claiming the first two sets before losing the second two 22-25 and 23-25. Budden racked up 18 more kills as well as 15 digs, another career-high. Roling added 24 digs in the Lakeland match and 165 total assists for the weekend. 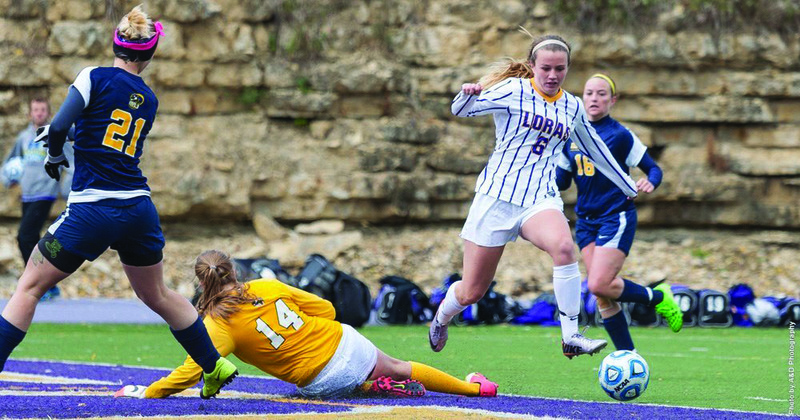 Looking ahead, the women will take on Central on Friday, Sept. 29 and Simpson on Saturday. 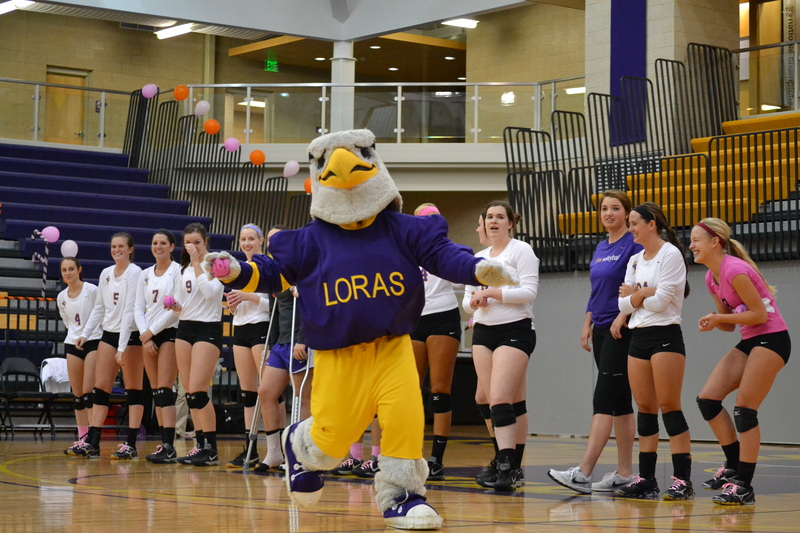 Both matches will be played at Loras on the Lillis Court at 7:30 p.m. vs. Central and 2 p.m. vs. Simpson.